In our very first video interview, Raffy Parker chats to local singer/songwriter Alan Lewis at Staxtonbury 2015. 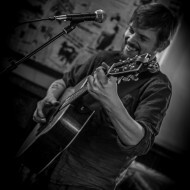 We discover his influences, writing process and his best bits of the Staxtonbury Music Festival. Interviewed by Raffy Parker / Video by James Drawneek. The Nightingales make a welcome return to Scarborough this week, playing the Corporation Club on Sunday 24th May, with support from Ted Chippington and HorizoN.